These artificial flowers overflow into the sidewalk. 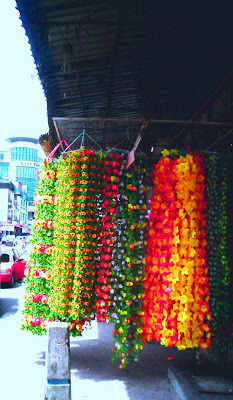 Made from plastic these flowers will find their way to households,cars, offices,restaurants etc, for their lasting appeal and low maintenance value. Freshness aside. The display technique I think is eye catching though it tends to crowd the sidewalk.